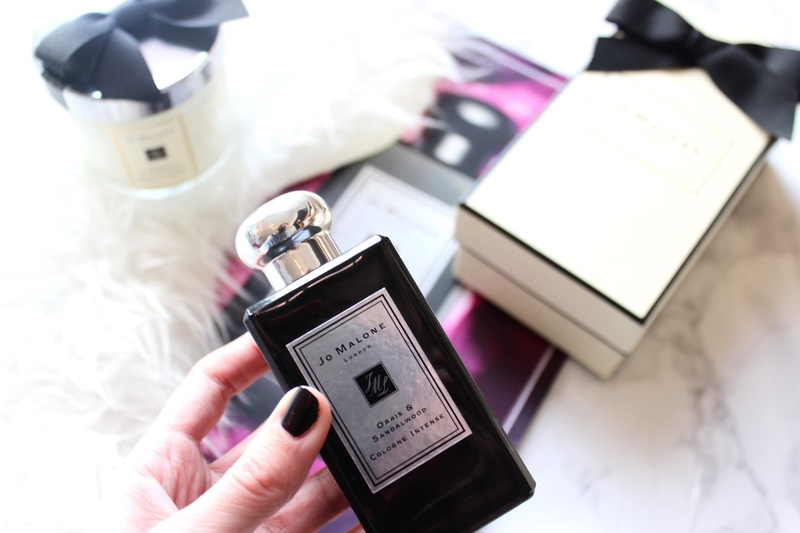 There hasn't yet been a new fragrance launch from Jo Malone that I haven't loved and the new Orris & Sandalwood scent is no different. 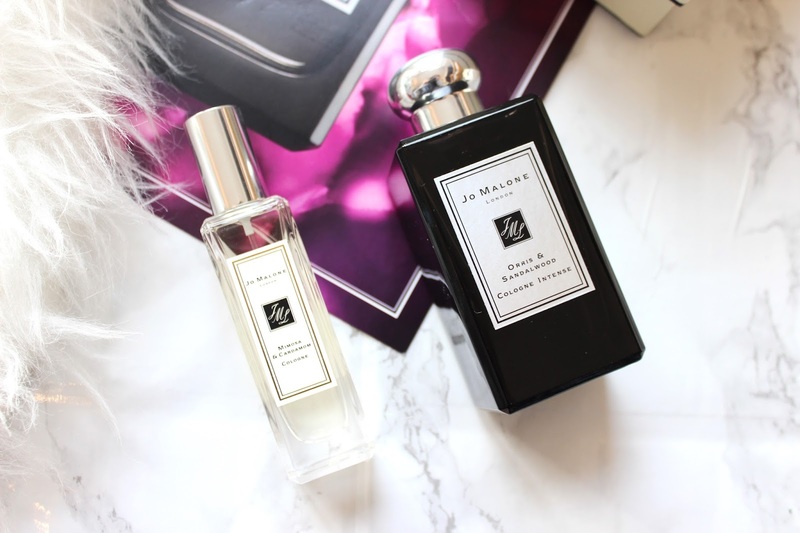 I absolutely love the Jo Malone Cologne Intense range they're basically a selection of the most seductive intense fragrances you can imagine. 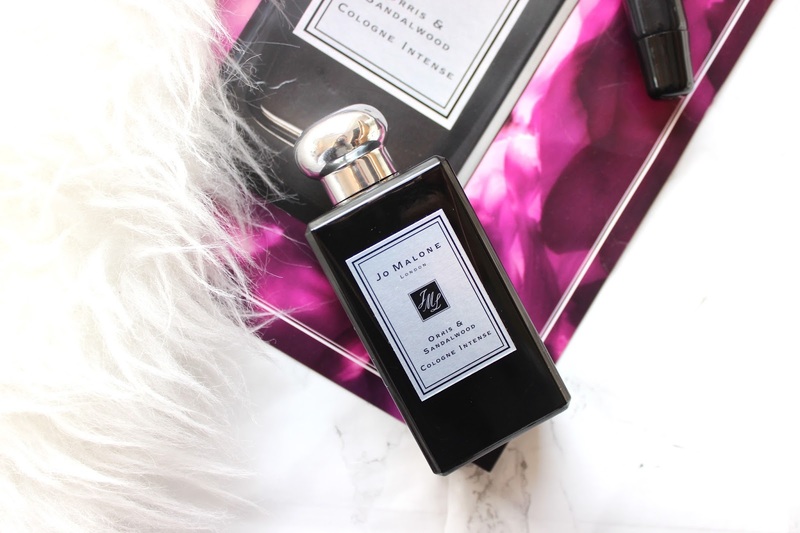 Everything from the black bottle to the range of scents just screams luxury. The new addition to the Cologne Intense range is Orris and Sandalwood which I can only describe as a really intense version of powdery parma violets. I know that parma violets aren't to everyone's taste but the scent is in no way sweet but deep, musky and sultury. It contains top notes of Violet (durr) heart notes or Orris and then the base notes of Sandalwood. The combination results is such a beautiful and captivating scent which I think is suitable for both men and women. I think the addition of the Orris and Sandalwood really balance out the violet scent making it such a unisex scent. 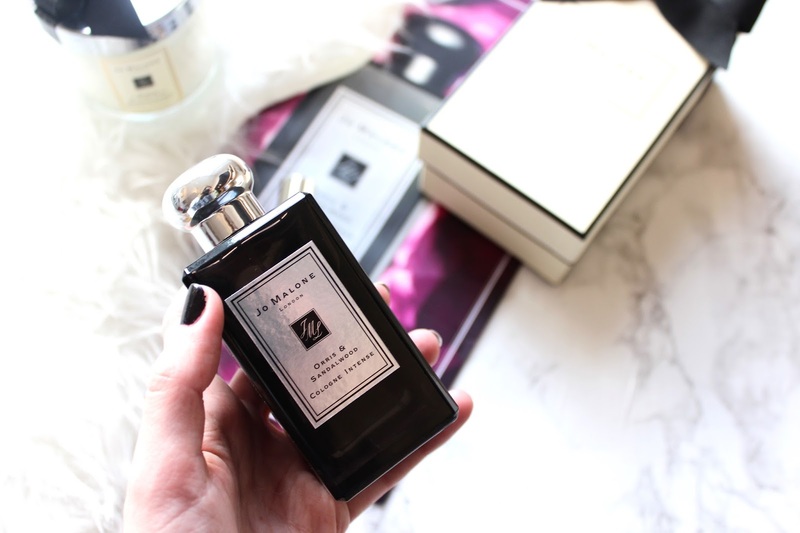 As the name suggests the scent is very intense so you only need to spritz a small amount for it to last all day. It also pairs beautifully with the Jo Malone Mimosa & Cardamon scent adding another level of complexity with the two also balancing each other out.